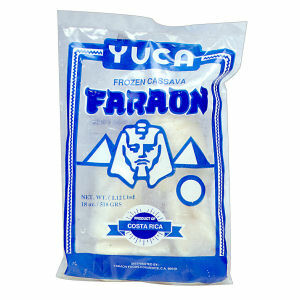 The finest frozen yuca in the market is named Faraon! "Yuca", also known as cassava, is a root type of vegetable similar to the potato. A versatile vegetable that can be cooked in many different ways, used in almost all Hispanic countries. Faraon Yuca is the finest product available in the United States, imported from Costa Rica in a convenient 18 ounce package.